Our product range includes a wide range of sintex plasto panel toilet block and gi workers toilet block. 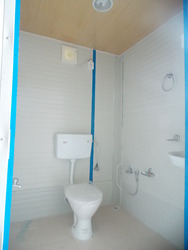 We offer wide range of Sintex Plasto Panel Toilet Block. Looking for Sintex Plasto Panel Toilet Block ?